If you're visiting London with kids in tow the West End is never short of shows that are guaranteed to entertain the whole family. Here we offer a few handy hints and tips to keep in mind if you're planning on taking your kids to the theatre. Deciding which of the West End's many marvellous shows your kids are most likely to enjoy isn't always easy. One obvious strategy is to look for productions that are based on films, books or TV shows your kids already love. Seeing characters they're familiar with brought to life on stage can be a magical experience and a speedy shortcut to understanding the setup and becoming fully immersed in the story. And if they're not already fans why not give your kids a taste of what they can expect? Shows like The Lion King, Matilda or Charlie and the Chocolate Factory are developed from books and films you can easily introduce your kids to at home. Like films many shows will have age restrictions; beyond this it's down to you to decide if a show will be appropriate for your children. Apart from the possibility that some shows may contain inappropriate content it's worth considering the possibility that your children could be a distraction for other theatregoers. Think twice about taking your children to a show if you think they might struggle to remain engaged and run the risk of becoming restless and noisy. Generally speaking West End venues don't expect children under the age of 3 or 4. If you're thinking about taking younger children it's worth checking that the venue's admissions policy won't be a problem. Because most West End theatres don't expect children under the age of 3 or 4 it's unlikely that they will have baby changing facilities. The theatre can be a truly magical place for young children but it's a good idea to prepare them for a first visit so they aren't completely overwhelmed or upset by the experience. Talk to them about what they can expect and prepare them for aspects of the experience that they may find surprising. It's also a good idea to make sure your kids know how to behave in a theatre. Matinees take place in the afternoon and could therefore be a better option if you're taking young children who might get sleepy during an evening performance that goes on past their bedtime. You don't want to arrive so early that your kids have time to get bored and restless before the show even starts but arriving 30 minutes before the curtain comes up ensures you'll have enough time to fit in toilet trips, pick up snacks and refreshments and get everyone settled. If you are taking young children to the theatre and bringing a pushchair you should be aware that the pushchair will not be allowed into the auditorium (because space is limited) and must be left in the theatre's cloakroom, which is likely to cost a small fee (typically around £2). Some – but not all – theatres provide booster cushions that will help to ensure kids have a decent view of the stage. In many theatres booster cushions simply aren't necessary but it's worth being aware that in those venues where they are genuinely useful booster cushions are sometimes in limited supply. If this is the case then height restrictions (usually children must be 4ft or shorter) will be strictly observed. If you're worried about missing out you might consider bringing your own booster cushion. SCHOOL OF ROCK, the hit Broadway musical from Andrew Lloyd Webber, is coming to London! Based on the iconic, hit movie, this irresistible new musical follows Dewey Finn, a failed, wannabe rock star who decides to earn an extra bit of cash by posing as a supply teacher at a prestigious prep school. There he turns a class of straight–A pupils into a guitar-shredding, bass-slapping, mind-blowing rock band. But can he get them to the Battle of the Bands without their parents and the school’s headmistress finding out? 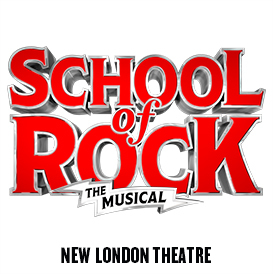 With a new score from Andrew Lloyd Webber, lyrics by Glenn Slater, book by Julian Fellowes and the original songs from the movie, SCHOOL Of ROCK is a musical treat for all ages. After rave reviews on Broadway, you are invited to bring your air guitar and unleash your inner rock god! Where would we be without the mischievous mind of Roald Dahl? The brilliant children's author again provides the inspiration for one of the West End's most acclaimed family friendly shows. Matilda the Musical does the classic book proud with a brilliant Royal Shakespeare Company honed production featuring fabulous music courtesy of Tim Minchin and dazzling choreography by Peter Darling, whose previous work includes Billy Elliott. Few shows capture the imagination in quite such spectacular fashion as The Lion King. Julie Taymor's inspired adaptation of the classic Disney film is now the longest running show in the Lyceum Theatre's history and continues to pack them in after sixteen years at the venue. The music, courtesy of Elton John and Tim Rice, is as stirring as ever and the stunning stagecraft does a remarkable job of evoking the majesty of the Serengeti.